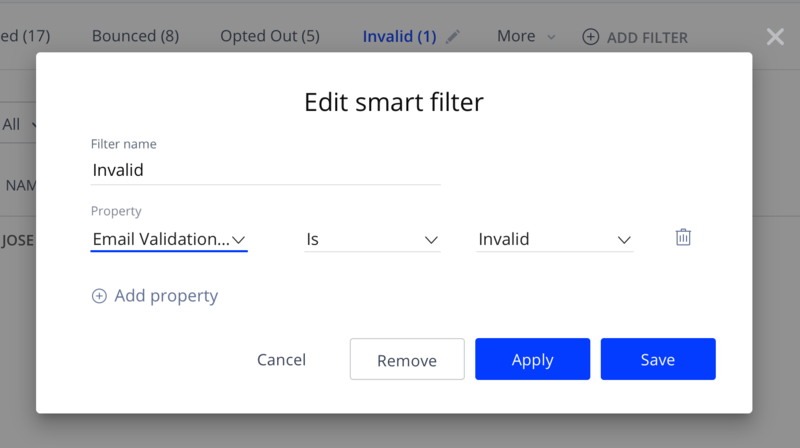 In the Property field, select Email Validation status. Select the Is Invalid condition. Click Save to save the filter and see filtered results.